We are real estate agency. 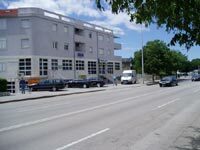 Our business is selling real estates in Split and surroundings. At the moment we have about 150 flats in our offer. If you are selling or buying a real estate, contact us with trust!